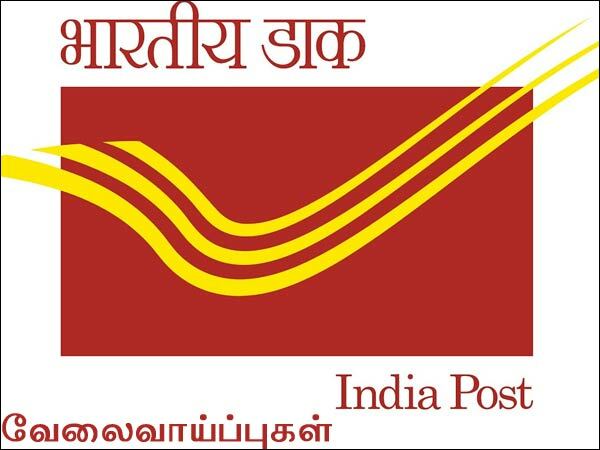 Tamilnadu Postal Circle Recruitment 2018 has announced recently for MV Mechanic Posts. Want to apply for it? Here you will check all details here. We have updated latest information such as examinations and interview, eligibility criteria, Offline registration processes, payment of prescribed application fee/intimation charges, Tamilnadu Postal Circle pattern of examination, Tamilnadu Postal Circle Syllabus, Tamilnadu Postal Circle Question Paper, Tamilnadu Postal Circle Admit Date Release Date, Tamilnadu Postal Circle Exam Date, Tamilnadu Postal Circle Result Date. Now check below all details. graduation details: 1. A certificate in the respective trade from any technical institutions recognized by Govt. OR VIII standard pass with experience of one year in the respective trade. 2. Skilled Mechanic candidate must be able to drive any vehicle in service in order to test it and should possess a valid driving license (Heavy). Age limit should between 18 to 30 years of age as on 01.07.2017. Go through Tamilnadu Postal Circle official Notification 2018 for more reference. Fees detailsFor Rs.100/- (or)UCR receipt to be taken in any Post office should be enclosed towards application fee. The applications will be scrutinized as per the eligibility criteria and short listed applicants will be called for to attend trade test. The application fees collected from the in eligible applicants will not be refunded. The application without application fee will be rejected. Further , the short listed candidates should pay Rs.400/- as Examination fee ( for trade test) in the form of IPO (or) UCR receipt. The candidates belonging to SC/ST/Women employees are exempted from the payment of examination fee. 4. Application on plain paper in the prescribed format as produced in para 3 above should be filled in by the candidate either in English or in Tamil correctly and completely. 5. One Passport size photograph should be affixed at the place meant for the purpose on the application and should be duly attested by a Gazetted Officer of State/Central Government. Along with the application form an Indian Postal Order for Rs.100/- (or)UCR receipt to be taken in any Post office should be enclosed towards application fee. The applications will be scrutinized as per the eligibility criteria and short listed applicants will be called for to attend trade test. The application fees collected from the in eligible applicants will not be refunded. The application without application fee will be rejected. Further , the short listed candidates should pay Rs.400/- as Examination fee ( for trade test) in the form of IPO (or) UCR receipt. The candidates belonging to SC/ST/Women employees are exempted from the payment of examination fee. 6. Proof of age, date of birth, educational qualification, experience, driving license etc. should be submitted in the form of certificates / documents, issued by the competent authority and should be enclosed with the Application Form. Only Xerox copies should be enclosed. 7. Copy of Community Certificate issued by appropriate authority for appointment in Central Government Service / Posts only will be considered. 8. Separate Applications should be sent for each post in a separate envelope and the candidates should super scribe on the application and envelope as “Application for the post of Mechanic Motor Vehicle in Mail Motor Service, Madurai. 9. The envelope should be addressed to the Manager, Mail Motor Service, C.T.O Compound, Tallakulam, Madurai 625002 and should reach this office on or before 01.01.2018 by 17.00 hours. 10. All pages of the Xerox copies of the certificates / documents and photos attached to the application should be attested by a Gazetted Officer of the Central /State Government.